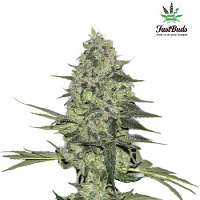 SugarPop is another strain born from the collaboration between Philosopher Seeds and Reggae Seeds. 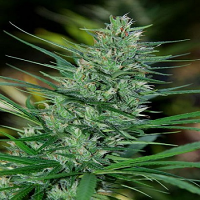 SugarPop Feminized Marijuana Seeds by Philosopher Seeds: SugarPop is another strain born from the collaboration between Philosopher Seeds and Reggae Seeds. This time the Golo Line breeders crossed White Russian x Kalijah with a reversed Jack the Ripper female. The result was the most indica variety of the Golo-Line collection. SugarPop seeds have great power of germination and vigour, producing plants of good structure, with average internodal distance, beautiful look and easy to grow. There are two phenotypes that are distinguished by height. 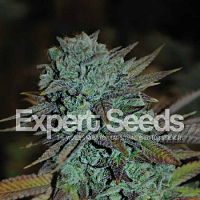 Philosopher Seeds recommend at least 3 weeks of vegetative growth, although an extra week would be ideal for the smaller phenotype. 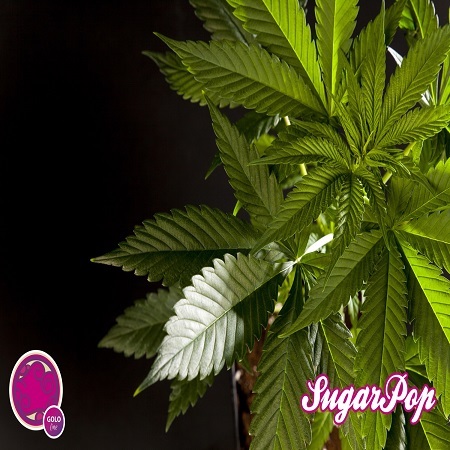 With the change of photoperiod, SugarPop develops a large central bud with few branches. From the aforementioned phenotypes, one has compact calyxes while the other one produces lots of resin, a trait that comes from Jack the Ripper. In all cases the production per plant is medium-high, with hard buds, completely covered with resin. This plant is very resistant to high temperatures, pests and diseases, but its large central cola may need some support in the later stages of flowering. SugarPop is sweet - mostly from White Russian - mixing the scents of all its parents, from the earthy incense of Kalijah to the haze of Jack the Ripper. It has a very light odour when dry but he flavour is strong and long lasting. SugarPop gives you very nice body & mind relaxing effect.